As the world seems to be coming apart in some ways, designing new in different ways and shifting in still other ways; these great directions, might seem to be taking us away or questioning where our path is. 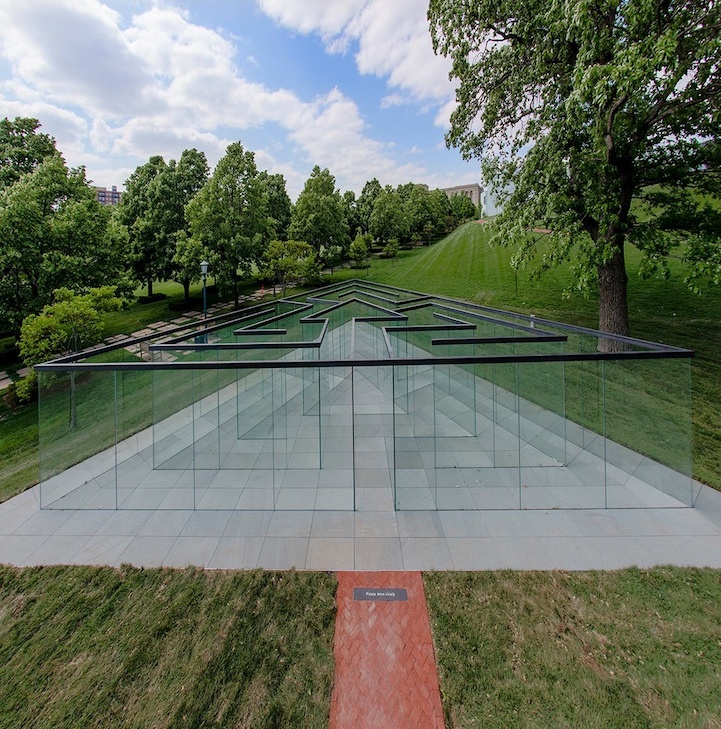 In the summer months of June and July, the 365 Experience has explored the labyrinths of the world and their greater purposes and uses while growing in our own explorations as a result. August presents a great way to end the summer season with a national journey exploring more of what brings us together in united purpose with insights from the labyrinths of the land that calls itself the United States. Exploring the insights of what unites can provide a useful path with common interest in the ways we come together with the path, with ourselves, with our communities and with the world. 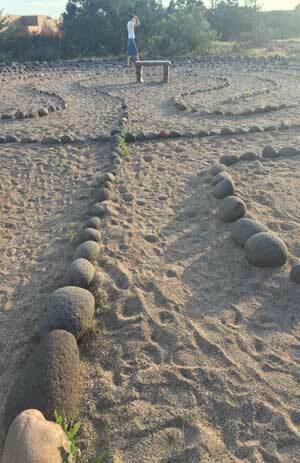 Consider all the ways that the labyrinth brings insight about uniting. 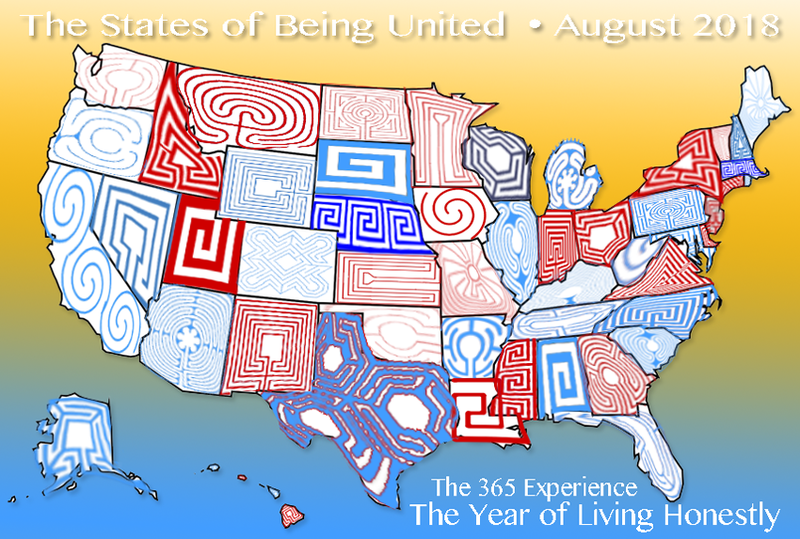 Whether it is the program you have developed, the new design you share, someone who has made a big difference or just the walk you have with yourself; consider the labyrinth and our messages that unite this month that you might like to showcase in the United States that stand out as applying great unity. Each day a new focus on the states of what unites will be focused in the United States. Read along, share your perspectives and hone your own states of unitedness this month and elevate our year long focus of living into greater abilities using the path of the labyrinth. Explore an intention for the month on this day, of the ways in which you wish to gain more insight into what unites us into our greater abilities and actions. 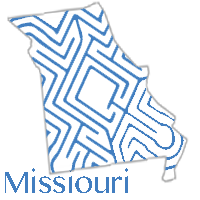 Based on what is sent in this month, we will track our travel process across the United States to create a labyrinth or a maze? Help us to direct our focus with unique labyrinths, locations and information each day that will diagram a path that unites us. Posted links begin tomorrow. 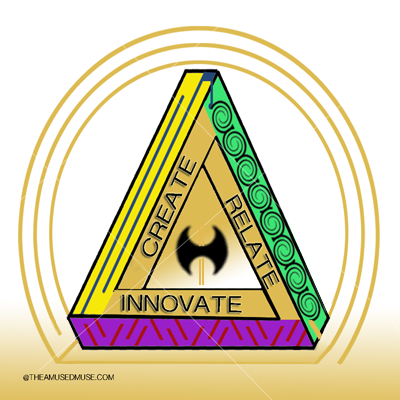 For those that wish to join in a monthly discussion at the Ides of the Month, please let me know a preferred method of connection as this month we will simply use a dial in call at Noon PST. 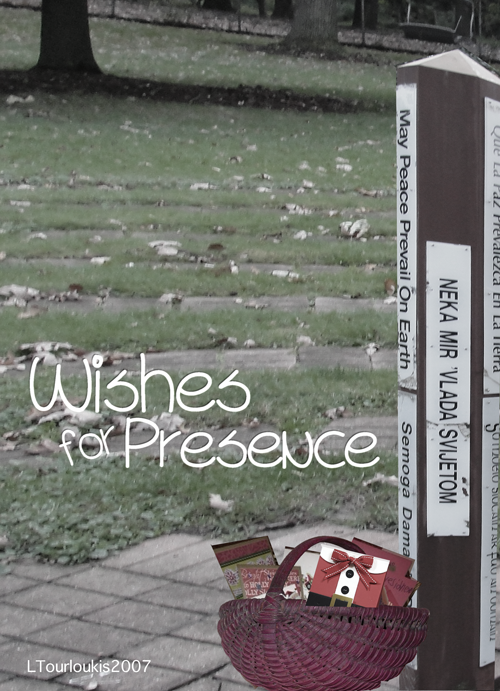 With Christmas Wishes with blessings we walked our local labyrinth today placing messages on Christmas Cards in the center for our guests. We used the simple concept of Christmas Past to enter, contemplating the moments of memory. Christmas Present was the center focus where indeed we thought of the presents of presence in our life now. The walk of return was for the Christmas Future. It was a great opportunity to share in between our gathered meal and over coffee and chocolates we enjoyed wonderful reflections. Every year we have offered this has been different and appreciative. It never gets old! It seemed like such a long walk. I was tired and here to walk the labyrinth with a friend. She asked if I would come with and where I had not walked a labyrinth before, I humored her and came along even though all parts of me longed to be elsewhere. As I stood by contemplating my turn and waiting for the opening, it seemed like a really long walk that didn’t seem to end anywhere. As my turn came I joined in and stepped into this interesting circle. I looked down mostly to keep my balance and make sure my feet knew where to step and where not too. It became easier when I realized the only thing we had to do was follow the path. I relaxed and enjoyed the outdoors and soon found my movement lighter and flowing and before long I had reached the center. Not long at all. Years later I reflect back on that first long walk and my initial interpretation. 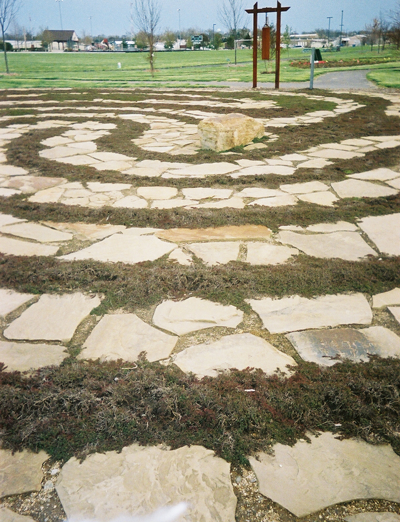 Where I was resistance, the labyrinth’s turns and patterns relaxed and invited. What seemed so long so many years ago now seems so short… Am I done already?